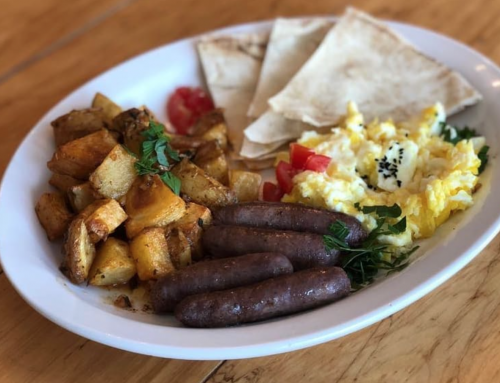 We know how tough it can be to find the best places to eat while on vacation, so we want to try and make your job a little easier! 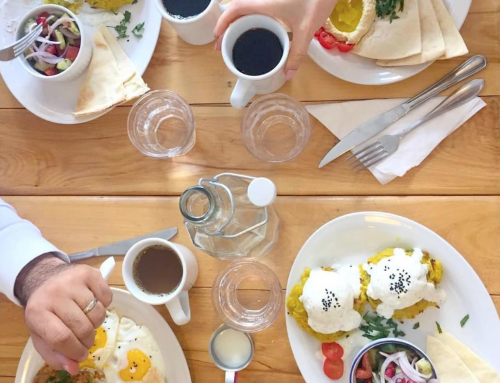 We’ve tried a lot of dishes around this cozy town and narrowed down the best Galle eats. Galle is a beautiful town in the south of Sri Lanka with a portion of the houses enclosed within a fort built in an old Dutch-style. 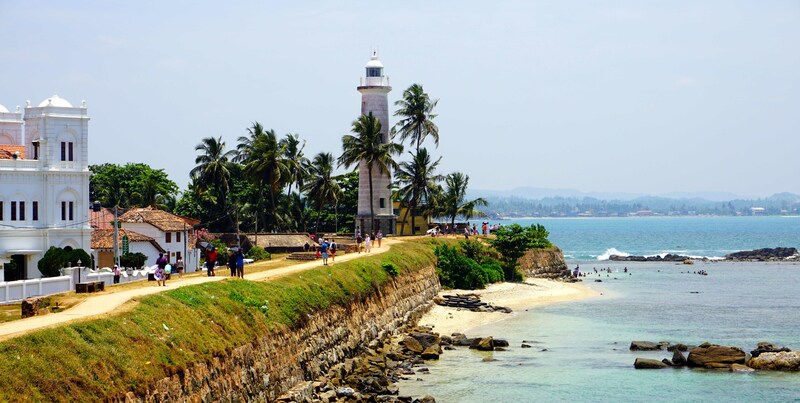 The Galle fort area is a great place to stay since you are a walking distance from the famous light house, restaurants, and pubs. 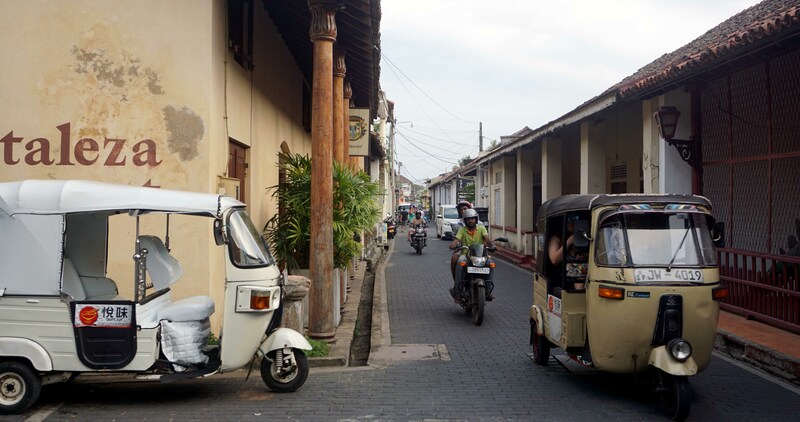 We also recommend you rent some bicycles and explore the Galle town outside the fort to get a real feel of the whole city. 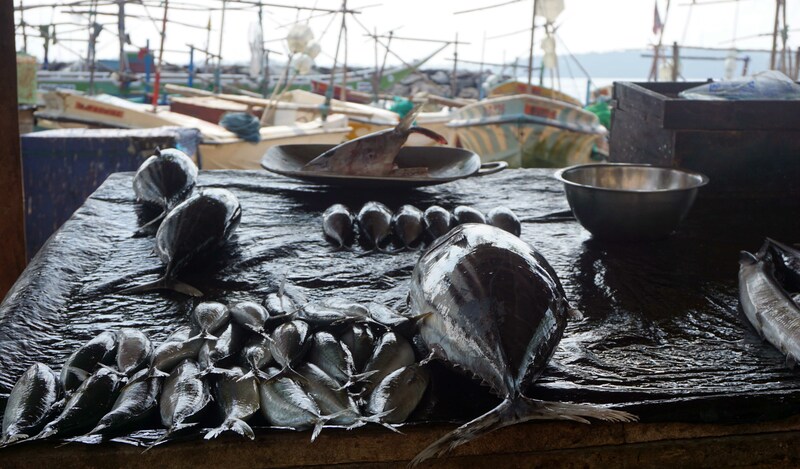 Sri Lanka is famous for it’s seafood, and Galle is no exception. Before even entering the fort, you can tell just how important fishing is with the lines of fisherman selling their fresh catch by the beach. One of the suggested things to do in Galle is to visit this market which is very close to the fort entrance. Here’s the list of restaurants we’ve narrowed down from the ones we tried. The food was generally good, but these picks exceeded all the rest in terms of flavor and presentation. Spoons is a cozy little restaurant that has just 4 tables, so expect to wait in line for your turn. We went early so were able to find a table quickly, but the lines started soon after. 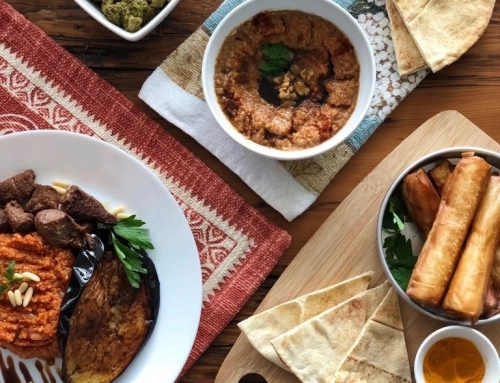 The menu is a fusion of Sri Lankan and Western dishes. We ordered a shrimp wrap and a shrimp taco, both had really great flavors with a little spice to it. 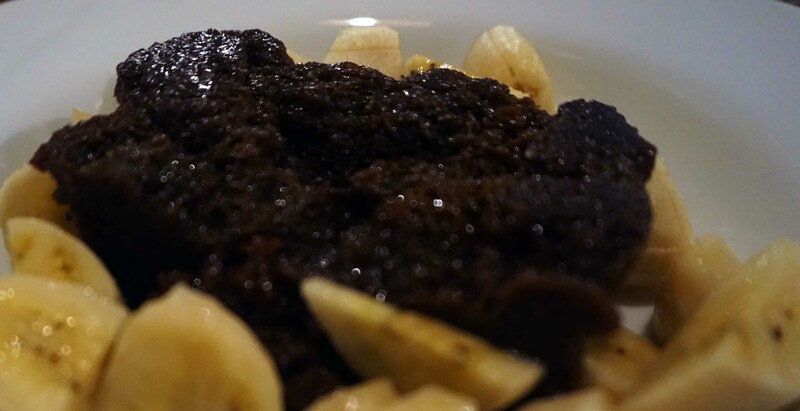 The dish that stood out the most was the dessert, a local Sri Lankan specialty called Wattalapam which is made from Jaggery (a natural type of sugar coming from coconut sap, brown in color ), eggs, and coconut milk. This particular one came with slices of banana and the combination of the caramel like pudding and sweet banana was just dynamite. This place really gave us our fill for Sri Lankan Cuisine. They are famous for their 10 dish curries, a menu item which is good enough for 2, and that’s exactly what we ordered. Looking around the restaurant, it seemed to be everyone’s pick as well. 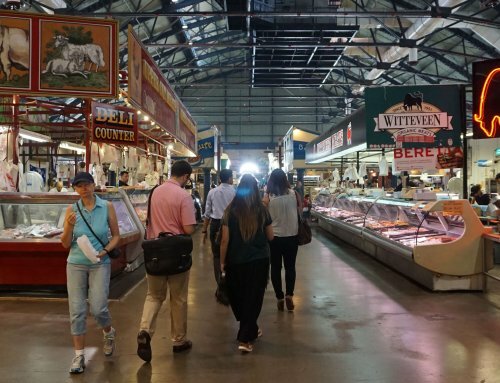 The curries are not set and the menu changes everyday depending on the fresh produce available at the market. 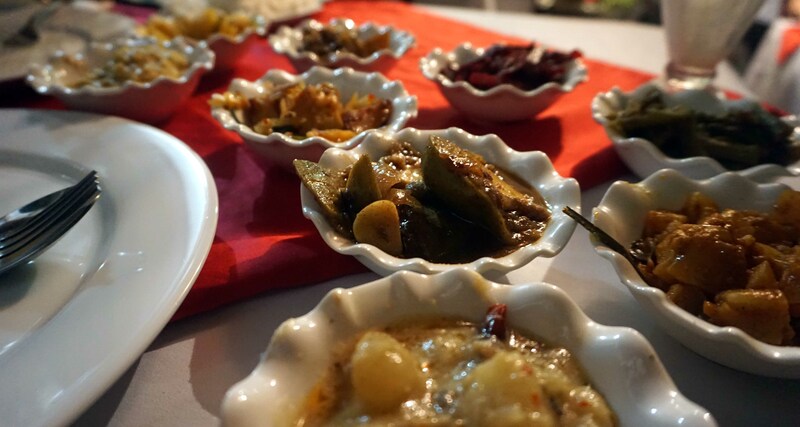 Our 10 curries consisted of a fish, pineapple, green beans, eggplant, lentils, beetroot, potato, ash plantain, pumpkin, and jackfruit with a side of rice. All the dishes were exceptional and one of the most authentic meals we had tried. Fortazela is a really chic restaurant with an open courtyard in the middle and great interior. It’s also one of the few places that serves alcohol for those who like a glass of wine with their food. We tasted 2 dishes: Thai red curry with rice, and seared Tuna. The Thai curry had really great flavors but we thoroughly enjoyed the seared tuna. 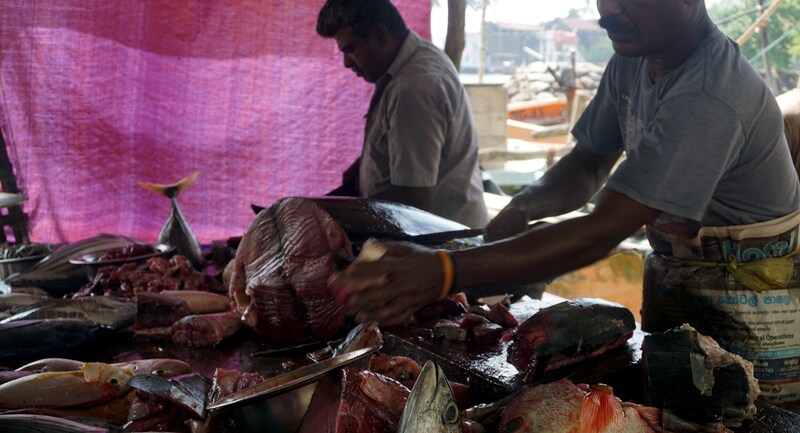 Galle is known for its fish, especially Tuna, and as soon as we took a bite, we could tell how fresh it was. It was seared with a pepper crust and felt like a modern twist on the traditional Sri Lankan Dish Ambul Thiyal, which is also made by coating the fish with pepper, and Goroka (a paste made from tamarind). We also love our street food and headed out into the main city to taste some authentic Sri Lankan snacks. 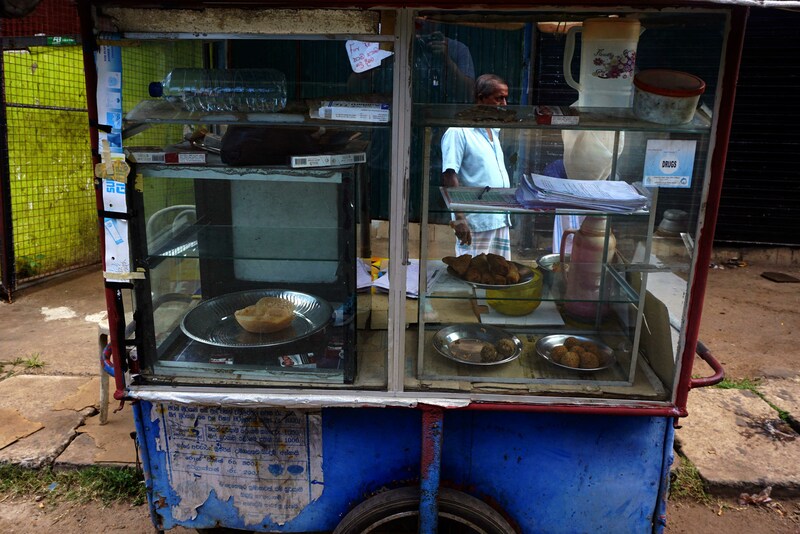 Hopper, is pretty much the most popular street food in Sri Lanka. Its a thin crispy dough made of rice flour in a shape of a basket. You could eat it plain with katta sambol (chilli paste), with an egg inside, or as a sweet version stuffed with jaggery. A delicious snack that you could eat for breakfast, lunch or dinner! Another meal we ate was one we made ourselves along with our local hosts in their old dutch house within the fort. 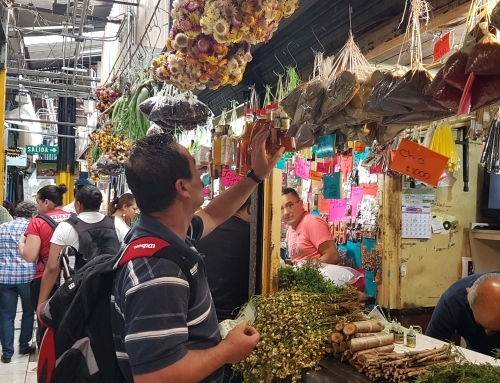 Before cooking, we visited the fish and vegetable market to buy our fresh ingredients. Meena, our host, taught us 5 different curries including the famous southern dish Ambul Thiyal, Dhal curry, Pumpkin curry and more. Not only did we eat an authentic home cooked meal, we also learned how to make it! To book this experience, click here.